Paul currently serves as solicitor to the Fox Chapel Area Board of School Directors. In this position, he advises the board on issues involving the Pennsylvania Public School Code of 1949, the Sunshine Law and the Right –to-Know Law and counsels the district on employment and personnel matters, student disciplinary issues and contract and construction law. As solicitor Giuffre Law Office represents the school district in tax assessment hearings and appeals, certain delinquent tax collections and Sheriff Sale matters. 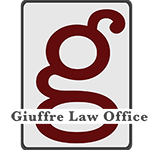 The experience gained representing a public school district provides the attorneys at Giuffre Law Office with a unique perspective to represent and counsel teachers, students and parents and tax payers in select legal matters. When you pass away, all of your assets are dividable into probate and non-probate property. Probate property passes under the intestacy laws of your state or through your will. Non-probate property passes to a beneficiary through joint tenancy or life insurance. Western Pennsylvania is home to some of the best hospitals in the world, but despite all of the accolades, accidents unfortunately occur. In Pennsylvania, the Medical Care Availability and Reduction of Error Act (“Mcare”) established the Pennsylvania Patient Safety Authority.